Surpassing Certainty is a portrait of a young woman searching for purpose and place in the world – without a roadmap to guide her forward. 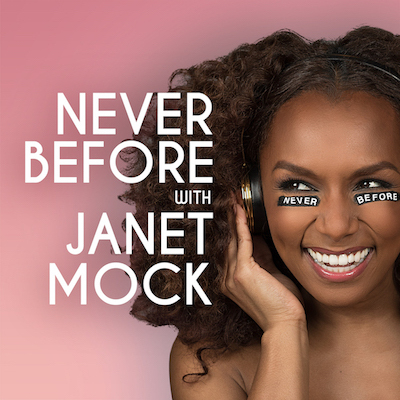 Long before she became one of the world’s most respected voices and leaders, Janet Mock took the time she needed to just be – to learn how to advocate for herself (at home, at college and at work) before becoming an advocate for others. 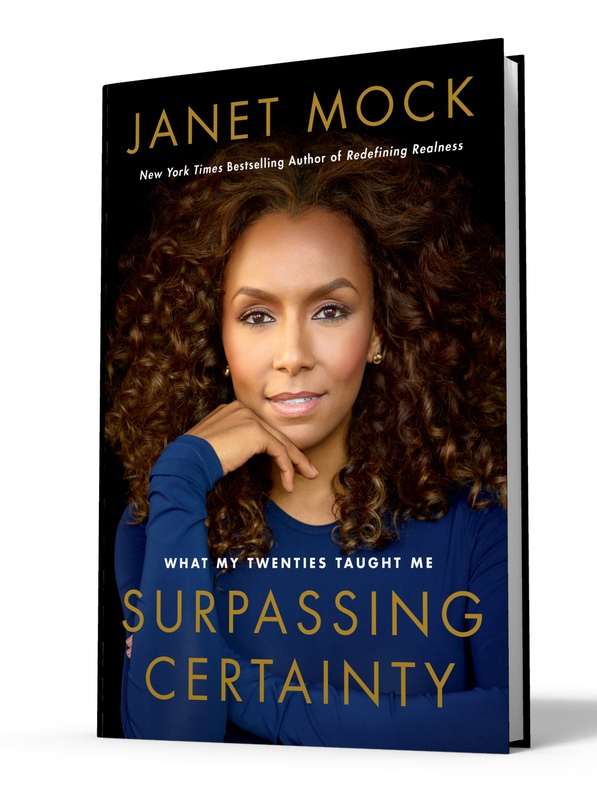 Surpassing Certainty will embolden you as you witness Janet’s slow-won successes and painful failures and affirm you as you seek certainty in yourself. Learn more about Surpassing Certainty! 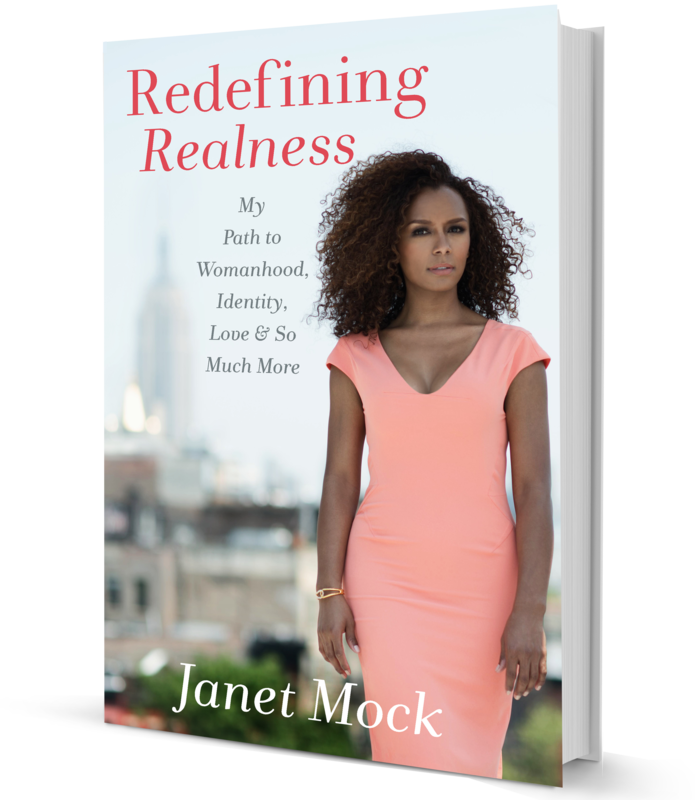 With unflinching honesty and moving prose, Janet Mock relays her experiences of growing up young, multiracial, poor, and trans in America, offering readers accessible language while imparting vital insight about the unique challenges and vulnerabilities of a marginalized and misunderstood population. Though undoubtedly an account of one woman’s quest for self at all costs, this New York Times bestseller is a powerful vision of possibility and self-realization, pushing us all toward greater acceptance of one another—and of ourselves. Learn more about Redefining Realness!